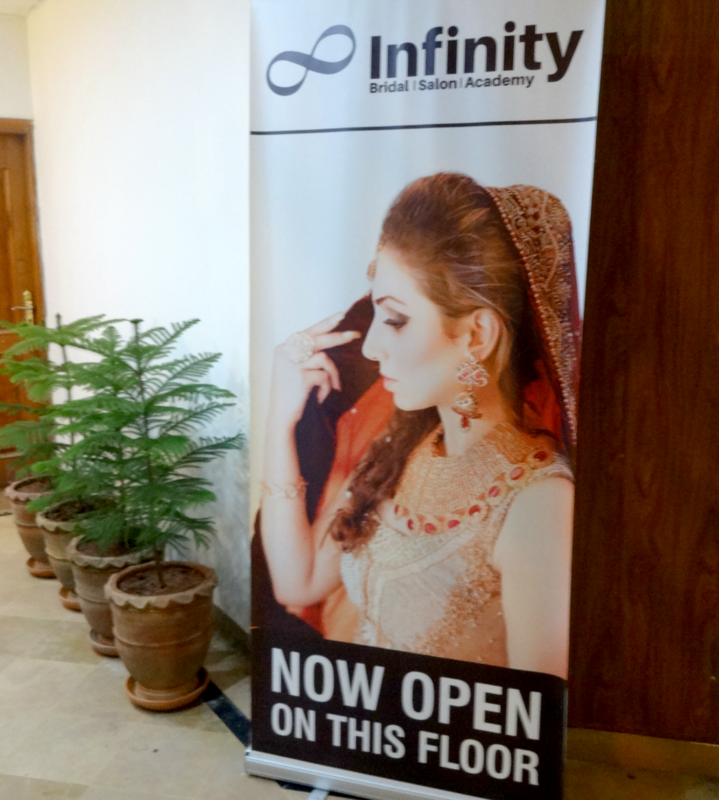 #SPB got a chance to visit INFINITY Bridal Salon, which recently opened its doors to Isloo-ites in F-11. How was our experience... Read More To Reveal More!!! I was over-whelmed by the interior but the amazing services won me over. Mr. Sahil the owner of the Salon is very clear about his notion on providing the best services in affordable price plus a proper hygienic experience along with the use of only quality products. Ms. Soni the partner-owner of the Infinity Bridal Salon, is a sweet smiling lady, who personally take care of every client and give attention and guide as well. She has her beauty training from London School of beauty. 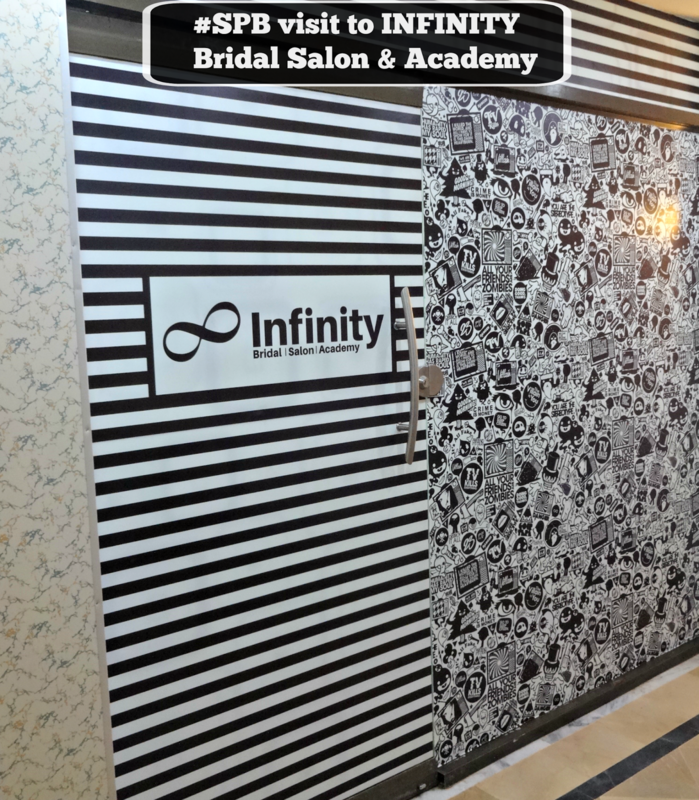 So at Infinity Salon you won't experience any compromise over Hygiene, quality and prices. Great! The staff is very friendly, co-operative, and well trained. Only quality products are used, in hair they use L'Oreal Professionnel Paris (colour and treatments), for skin its Thalgo and Janssen, for mani/pedi they use Essie and The Body Shop. I chose to have a hair treatment for my bad-behaving hair, a facial for my skin, badly under weather influence and a hair makeover. First I was taken to the facial room, which was small but well airy and secured (you know what I mean). There was a rack and cabinet for cloth storing. I was provided with a gown and privacy to change into it. The facial Ms. Soni recommended me was Thalgo Brightening facial a little customized for my sensitive skin. The procedure was done by Aasma. I must say that this facial was the most relaxing facial I have ever had, with all that neck, shoulder and head massages included in the 1 hour long procedure, I almost slept. I loved it as I was sure that I am treated with high-quality brand plus for every step brand new tools, like Sponges and blackhead remover was used and then discarded in front of me. Winner! Then I went to the hair section and after a detailed consultation I finalized for highlights on my crown (ear to ear) in two shades Blonde and Ash (9.1 and 8.1). This procedure took 45 minutes and tada I got my desired hair makeover. Taania, the girl who dyed my hair was well trained and guided me through, plus she listened to me. I was given L'Oreal Professionnel Paris Fiberceutic hair treatment for my dull, life-less and dry hair, as recommended by Ms. Soni. After the treatment I could feel a drastic change in my hair. I left the Salon happy, contended and satisfied! What a relaxing experience I had, can't wait to re-visit the lovely team of Infinity Salon soon. Follow Infinity Bridal Salon & Academy on FaceBook. Here is the address details for you all, this place is a must visit and I highly recommend it! Follow #SPBatInfinity on Instagram, Facebook and Twitter.